Boston’s Copp’s Hill Burying Ground Guide by Charles Chauncey Wells, Chauncey Park Press, Oak Park, Illinois 1998. Preachers, Patriots & Plain Folk by Charles Chauncey Wells and Suzanne Austin Wells, Chauncey Park Press, Oak Park, Illinois 2004. Along with history and informative stories, these books contain maps of the cemeteries and the names of known people who are buried there. My Cutler line came into what is now Boston in the early 1600s. I noticed that there are Cutlers buried in a few of these cemeteries, so now I need to see if and where they belong on my family tree. And, finally, here is my favorite gravestone from my trip. I see a man’s face with piercing eyes, a long nose and a white beard. My husband sees a cross. What do you see? 1. Charles Chauncey Wells and Suzanne Austin Wells, Preachers, Patriots & Plain Folks (Oak Park, Illinois: Chauncey Park Press, 2004), p. 20. 2. 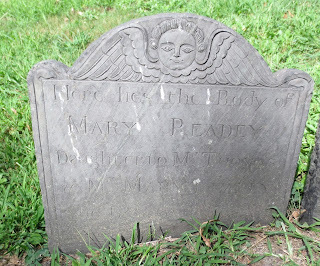 Gravestones & Puritanism, (http://www.windsorct.org/winrev/gravestones_and_puritanism.htm: accessed August 25, 2012). 3. 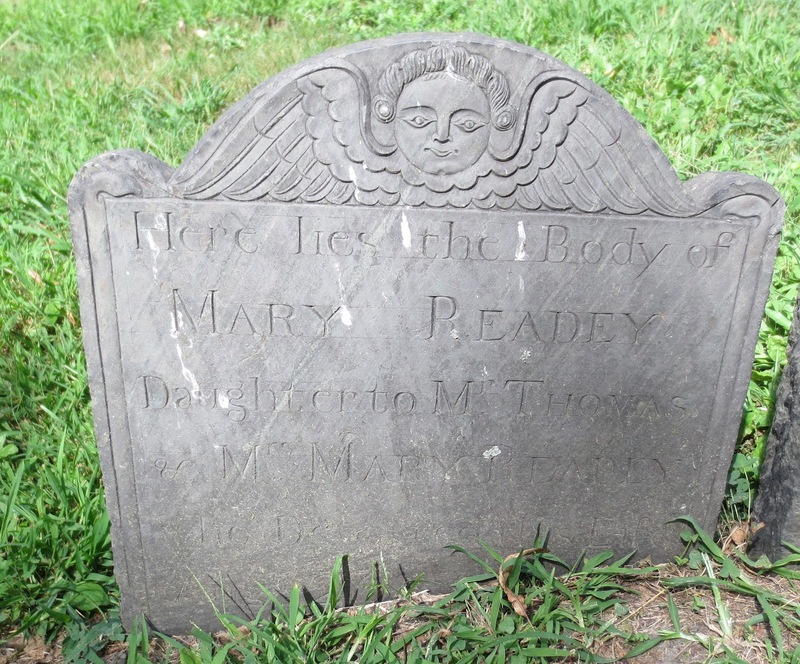 Ibid., Gravestones & Puritanism.